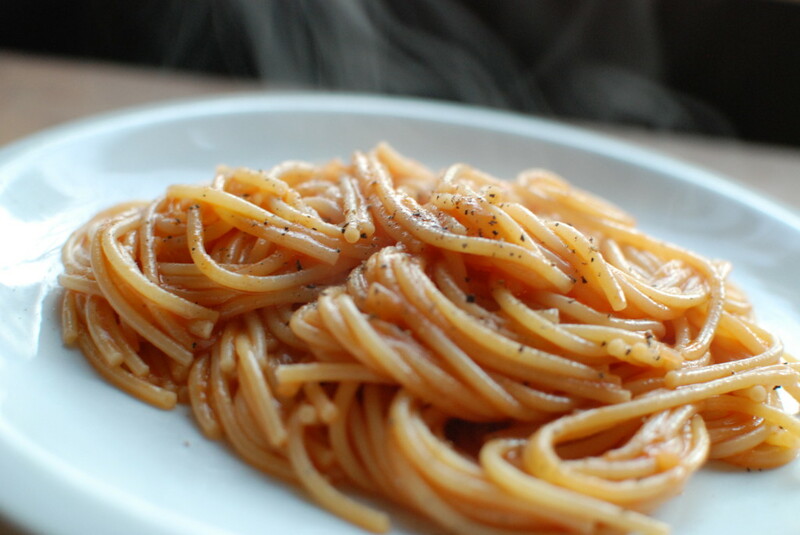 All you will need is spaghetti, one onion, olive oil, water, salt, pepper, and some form of tomato. We like to use canned pureed tomato because of the smooth, thick consistency. If it is tomato season you can add pureed fresh tomato and it will amp up the flavor. 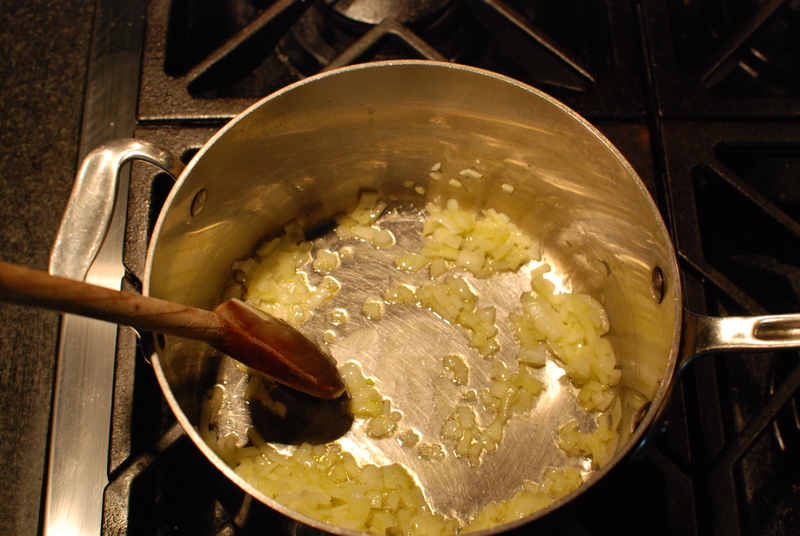 Dice the onion and sauté in olive oil until translucent. 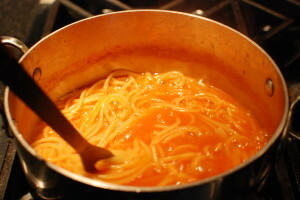 Add the tomato puree and cook for about 15 minutes. Add 5 cups of water and bring to a boil. Add 1 tablespoon salt and spaghetti. 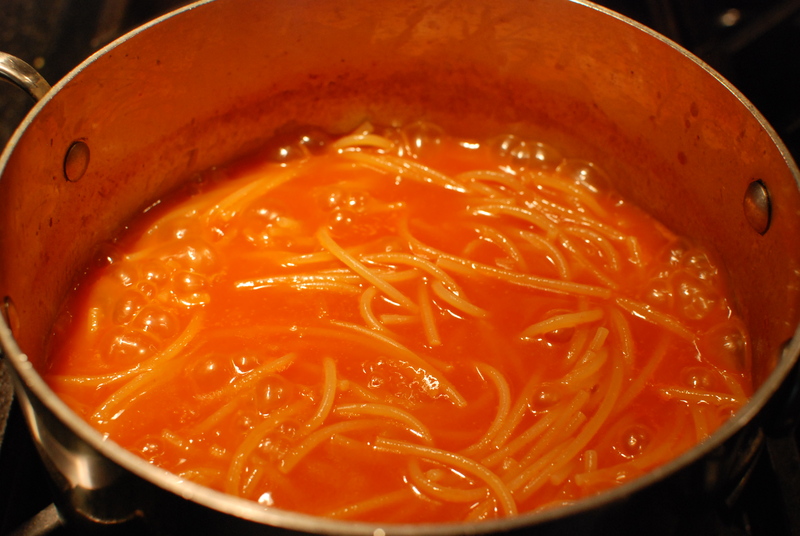 It will look like there is not enough water in your pot, but that is the secret to this dish. 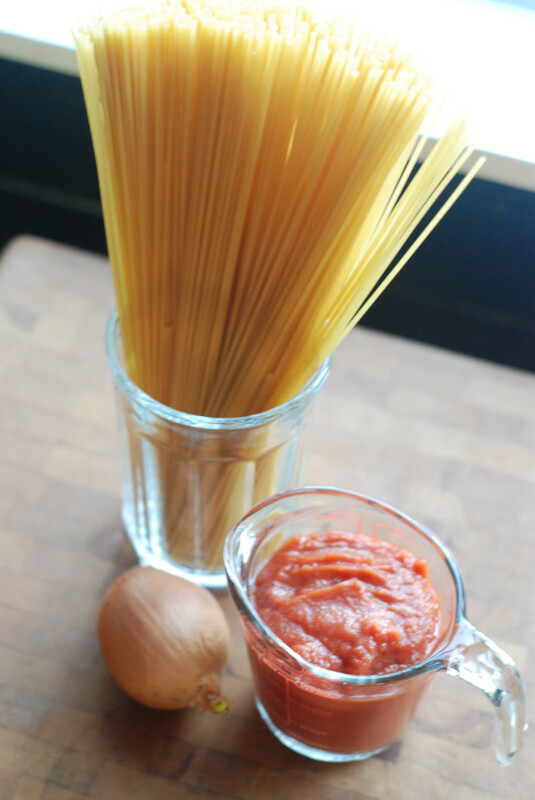 If you add too much water you’ll wind up with a watery, flavorless sauce. 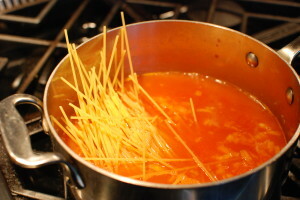 In order to prevent the pasta from sticking, you need to stir frequently. 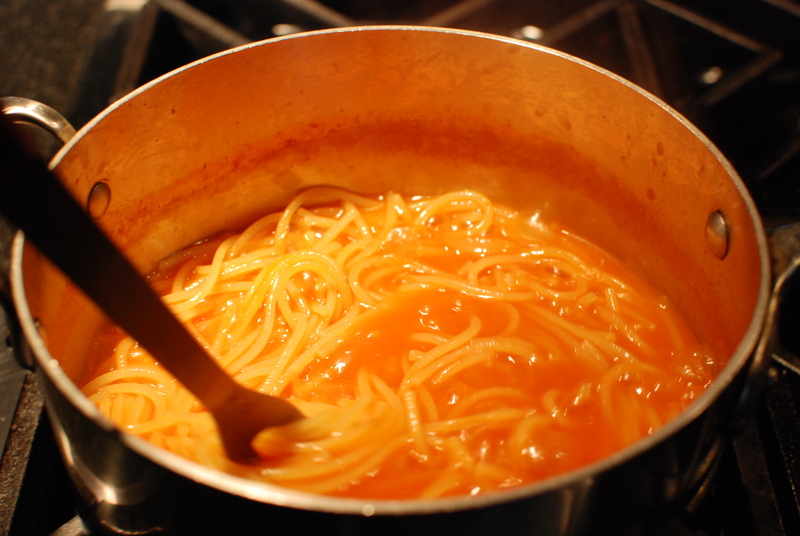 Keep a small pot of water simmering on the stove in case you need to add a bit, but do so with caution. Less water=more flavor. Cook for about 1 or 2 minutes less than what is stated on the package directions. 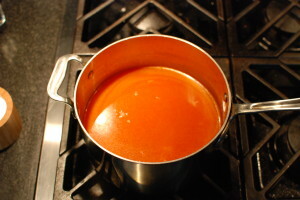 Remove the pot from the heat and let it sit, covered, for about 3 minutes to let the sauce thicken. 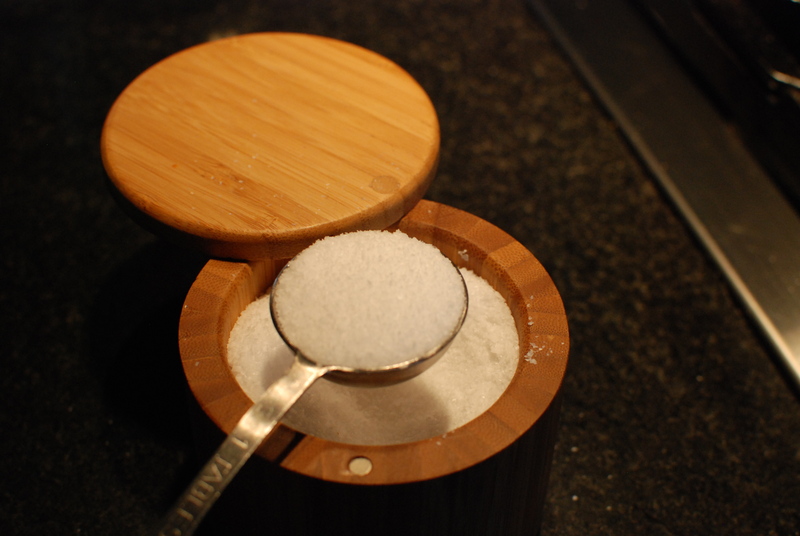 Add pepper to taste. Serve immediately. Yum. In a medium sized pot, heat oil over medium heat and add chopped onion. Saute until translucent. 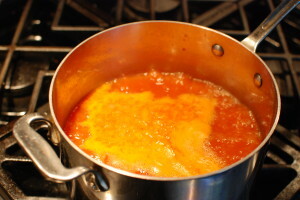 Add tomato and bring to a boil, then reduce heat and simmer for about 15 minutes. Add 5 cups water and bring to a boil. 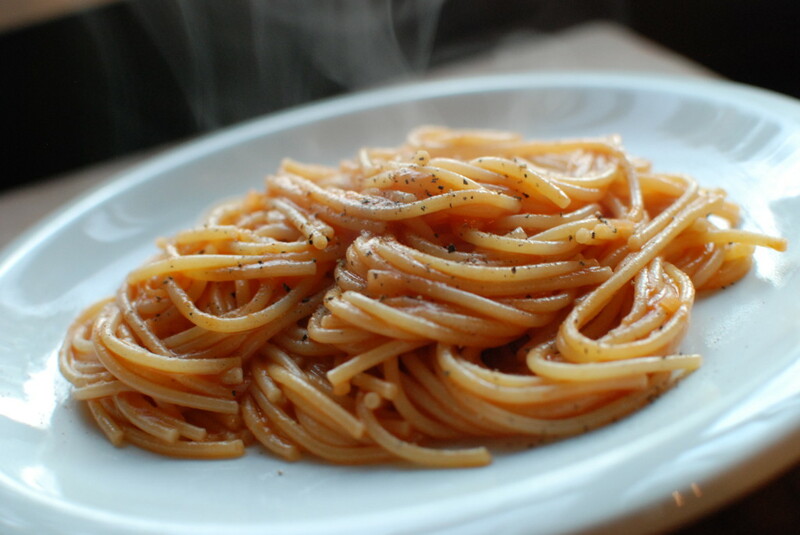 Add salt, pepper and pasta. Adjust heat so the water doesn’t boil too rapidly and stir frequently to keep pasta from sticking (keep small saucepan of water simmering nearby in case you need to add more to the pot to prevent sticking). Cook 1-2 minutes less than package directions. Most of the water should be absorbed leaving a thin tomato sauce. Remove from heat and let sit for 3 minutes. 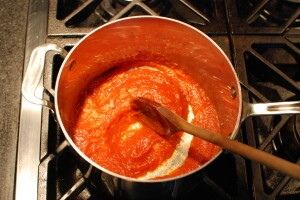 Stir to distribute the sauce, adjust seasoning and serve immediately.